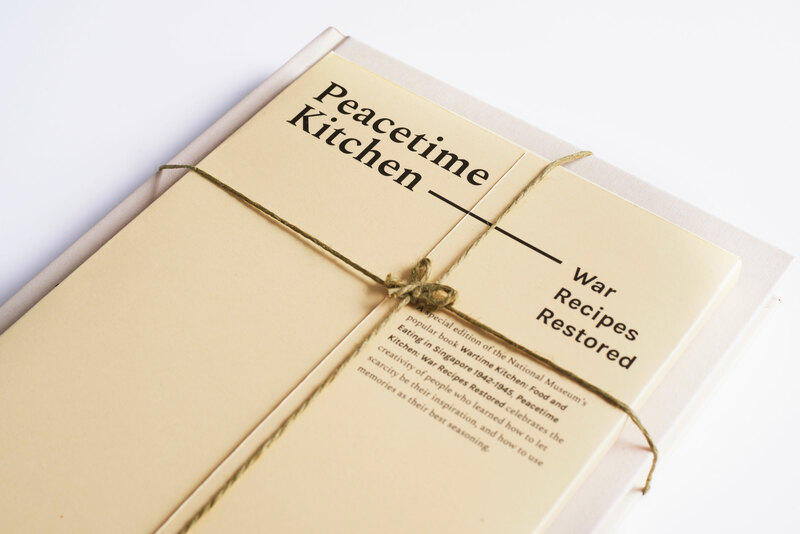 Relooking at war time recipes to encompass the hardship of war with the warmth that food brings. 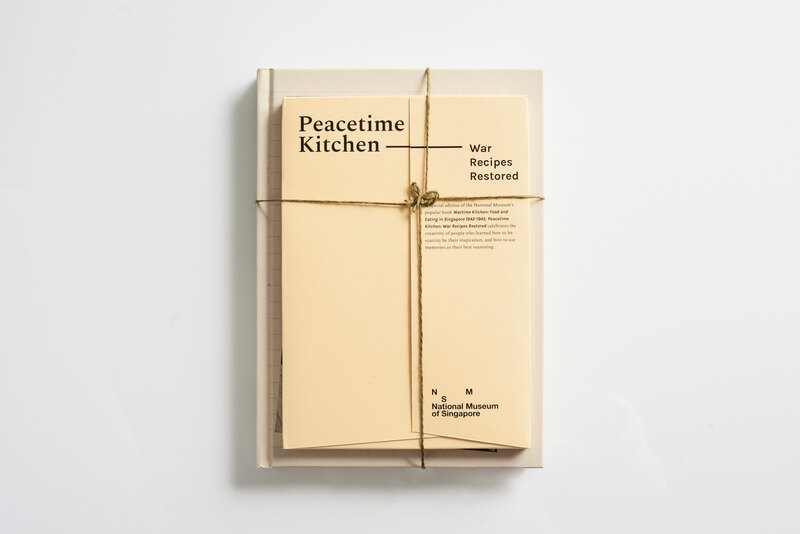 National Museum Peacetime Kitchen embodies the comfort of food through its use of colours and typography; contrasting the cold exterior of war. 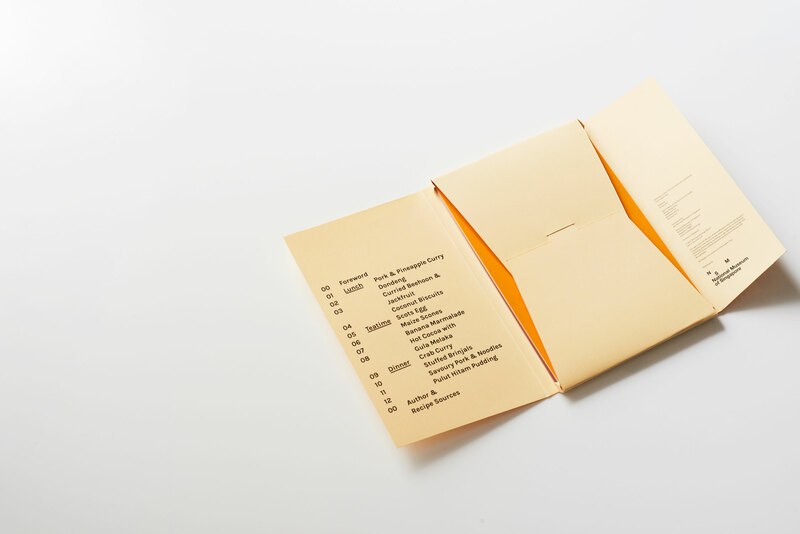 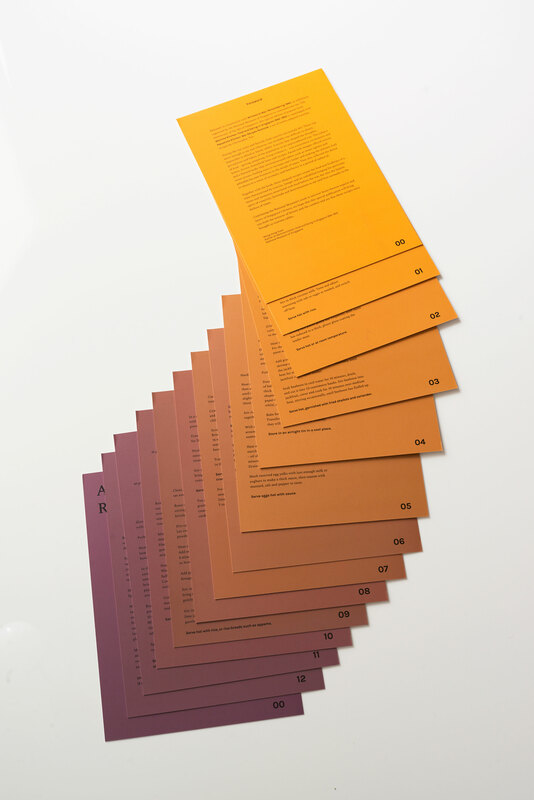 Curated according to mealtimes, the recipes double up as a visual timescale - forming a colour gradient of noon to dusk when spread out. 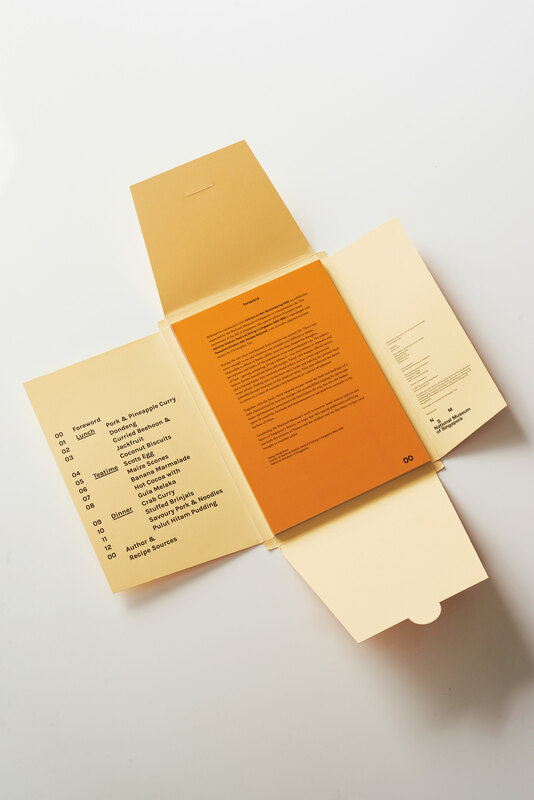 It captures the comfort of recipes contemporised for modern taste buds while reminiscent of time immemorial.